Toronto Krav Maga Academy (TKMA): Krav Maga and Body Defenses. 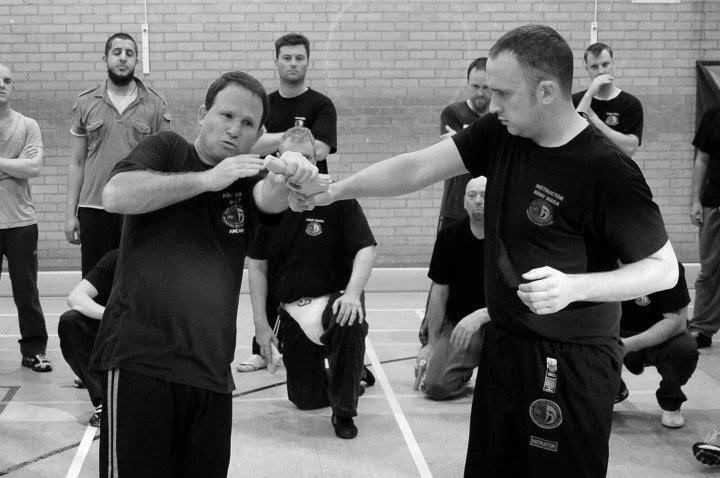 Krav Maga and Body Defenses. Central to learning self defense is moving your body our of harm's way of a punch, kick, stab, slash, knife/gun threat, grab or attempts to grab etc...... Since attacks can be fast and catch us off guard, moving effectively is very challenging. Student leans away from stab while kicking. Moving Down. Ducking a punch is the most obvious example. Boxers are among the best at ducking and countering. 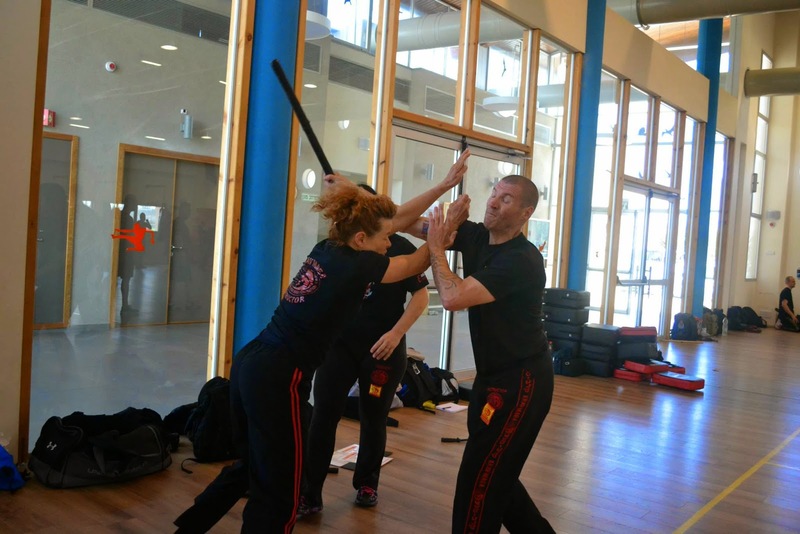 Body defenses are one of the more challenging aspects of self defense training. It involves timing, coordination, and the ability to quickly assess and act. Consistent training that involves attention to detail as well as various reaction drills will improve your body movements and your ability to defend yourself.